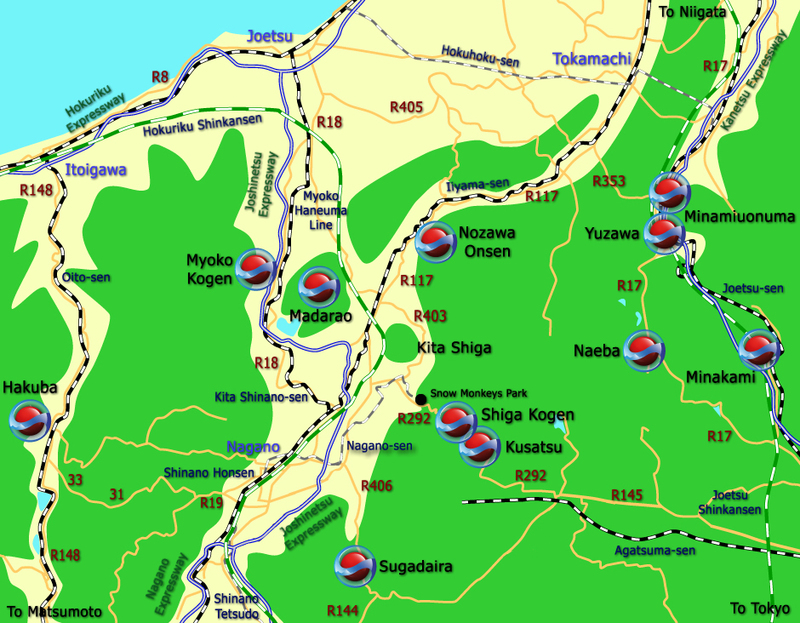 There is no train station actually in the highland Madarao area - the nearest train station is Iiyama Station on the Hokuriku Shinkansen and Iiyama-sen local train lines. In March 2015, a new section on the 'Nagano Shinkansen' (bullet train) line was opened and the line officially renamed as the Hokuriku Shinkansen. A brand new Shinkansen station was opened in Iiyama City, located just over 11km from the slopes of Madarao Kogen. Previously the nearest Shinkansen station was Nagano Station and so this new station has cut the time needed on the bus to get to Madarao Kogen down to around 20 minutes. The local Iiyama-sen line also stops at the new Iiyama Station. The Iiyama-sen line connects Nagano Station (from Nagano Station to Toyono Station via the Kita Shinano sen) with Echigo Kawaguchi Station in Niigata Prefecture. This journey is around 252km and usually takes around 100 minutes. 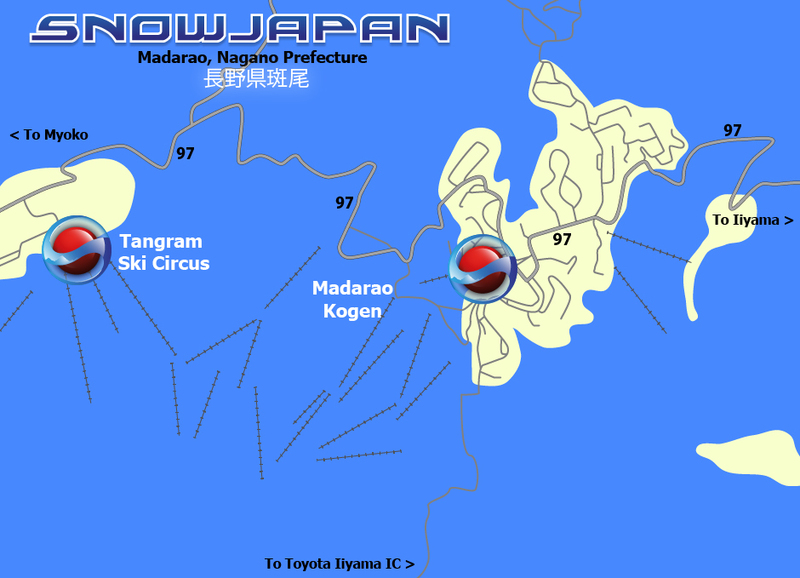 There is no train back to Myoko Kogen - use the bus or taxi to get to Myoko from Madarao. Get to Iiyama Station by bus or taxi. Iiyama-sen from Iiyama Station to Togari Nozawa Onsen Station. Alternatively just get a bus service from Iiyama Station. Hokuriku Shinkansen from Iiyama Station to Nagano Station. Hokuriku Shinkansen from Iiyama Station to Ueda Station. Nagano-sen line from Nagano Station to Suzaka Station. Sugadaira is about 20km from Suzaka Station. Hokuriku Shinkansen from Iiyama Station to Takasaki Station. For detailed information on how to get to the Madarao area by car, please go to this section.